We are a mixed bag combining: Facilitators, trainers, consultants, coaches and professional actors, backed up by a range of specialists firms. 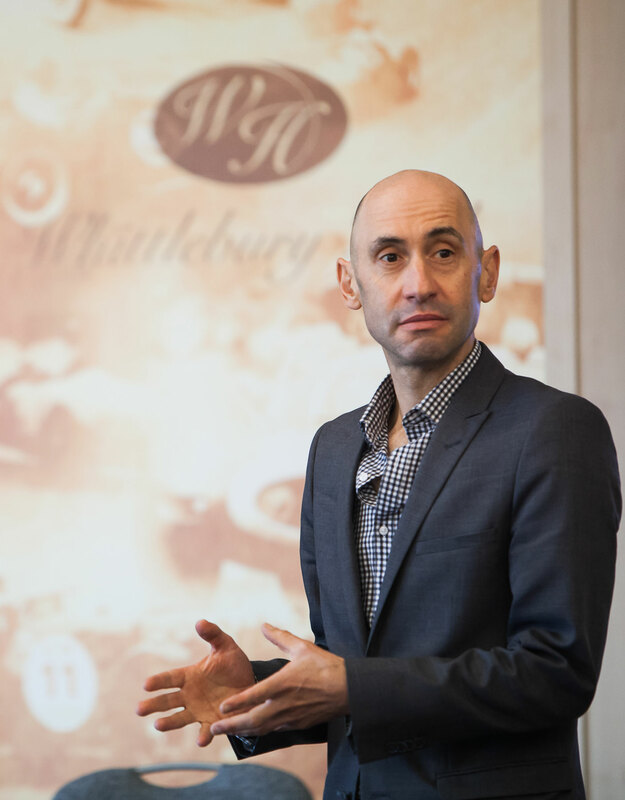 Job: As well as managing the business and leading new business development, Andy manages assignments, delivers consultancy, event facilitation and coaching. Where he fits in: The team's 'all rounder'. Carrying the vision for the business and leading the team. 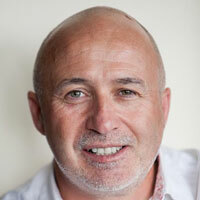 Andy brings the business and process expertise alongside his greater passion, people, leadership and team development. Getting to here: Andy is a trusted deliverer of over 1000 assignments in over 100 organisations, across 20 years. 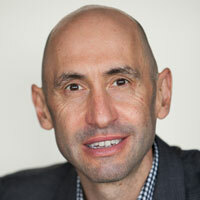 People Deliver Projects is his second successful business after a short spell in 'big consultancy'. Before that, Andy had an eclectic 15 year Aerospace career as: Engineer, Project Manager, Marketer, Strategist, Factory Manager, and finally a Business Unit General Manager. Andy’s view: I started the business in 2006 because of a remarkable gap in the world of project management, namely a failure to recognise that projects are delivered foremost by people, not by methodologies or software. Now over 100 customers, who also see this truth, have asked us to work with them on it. I want us to be an antidote to the sterile world of project management, and the overweight change solutions of the big consultancies. In real life: Anything adventurous outdoors, usually involving mountains, or the sea, on skis, a bike, or classic yacht. Yoga and pilates now essential to keep the body able to do it. Where he fits in: Dave leads our creative experiential events. He has built our events practice up from scratch to become a core strategy of the business. Andy’s view: Dave brings the positive creative energy to the team. It is because of his amazing range of skills that we can create our unique large events, and I believe there isn't anyone else in the world doing quite what we do. He keeps us laughing and tends to think anything is possible - Hence we also argue a lot - creatively of course. Away from People Deliver Projects: Dave is a practising playwright and director. He has been an Associate Director to the annual Cambridge Shakespeare Festival for nearly 30 years. Dave's early career was working in Television, Film, Stage and Radio. He has written plays and directed for such companies as the Thorndike Theatre, New Wimbledon Theatre and Age Exchange. 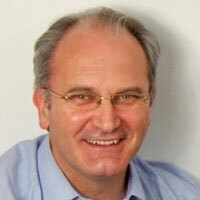 He is Chairman of the Trustees for Riverhouse Arts Centre and Galleries in Walton-on-Thames. In real life: Dave is annoyingly fit - especially swimming, and is a keen Ceroc (Modern Jive) dancer. Job: All day-to-day operations of the business, including: marketing, everything administrative, the money, and general office management. Project manages our large audience events, end-to-end. Where she fits in: Whilst Andy heads up the business, Jess runs it. She is the ‘domestique’ who keeps the whole team performing at their best, both on the front line at events and grafting behind the scenes. 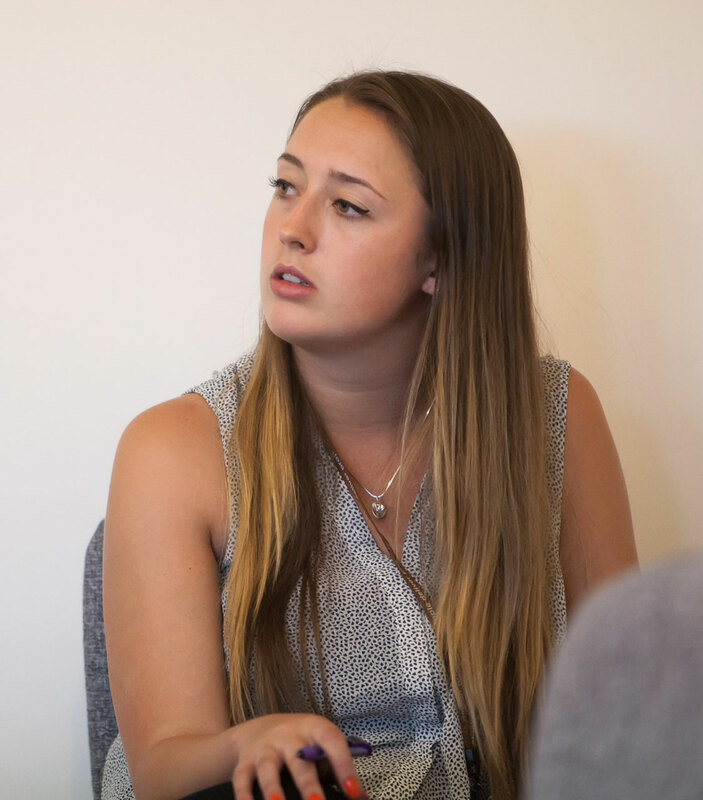 Andy's view: In her first job out of university, we are so proud of what Jess has achieved and the difference she has made - She’s brought organisation, stability and calm to the frenetic life of our team. I fear she must move on soon as we will only hold her back if she stays too long. In real life: Usually out with her dog, eating or drinking something nice. Job: Rufus is our lovely office dog. Where he fits in: He is a four year old Cockapoo that comes to work with us and keeps everyone sane on busy days. In real life: Although a great leader within the office, his true passions lie outside... his big loves include trips to beach, walks in the woods, and chasing pigeons and squirrels (to no avail). We think that everyone should have a Rufus. Where he fits in: Mike has been a lead facilitator with us since 2009. Andy’s view: Mike is a true master of leadership and team development. He has a great skill for creating an environment in which people learn. Very different to me, and so much better than me on his feet in team settings – it’s humbling to see him in action. He has a composed energy, which does not crowd a room, and yet always seems surefooted and aware of the groups needs at any moment. My only problems with Mike are that clients won’t let him go and I can’t get enough of his diary. Away from People Deliver Projects: Mike runs his own successful business in leadership and change. Mike is an associate faculty of ING Business School, maintains active links with Henley School of Management, and Lancaster University School of Management Learning. In real life: Balances work and family life, with a love of adventure and is a keen mountaineer and sailor, as well as a Fellow of the Royal Geographical Society. Where she fits in: Sharon has been a lead facilitator with us since 2009. Andy’s view: Sharon might be thought of as an ‘impact player’. Along with a big impact, she brings a practical mindset to the soft stuff, which we know is not soft at all. A tad eccentric and completely fearless. If we have a client individual or team in real difficulty, Sharon is the coach I first turn to. Away from People Deliver Projects: Sharon also runs her own developmental business as an executive coach and change consultant. She practices as a Master Coach, is an assessor with the Association for Coaching, as well as being a Coach to other Coaches. In real life: She can often be spotted jogging through Windsor Great Park with the ‘running sisters’ (name of the club). When she stops, she cooks, grows vegetables and volunteers with a (very important) charity. Job: Coach and Trainer in Project Management and Leadership. Where she fits in: Susanne is lead facilitator of our project management assignments, as a trainer, facilitator, consultant or coach. Andy’s view: I brought Susanne into the team in 2013, when she was starting out as an independent, because she has the rare quality of really knowing project management, and also being strong on people and leadership. She has grown into a highly respected name in the project management world and we are lucky to still have her with us. The bottom line for me? She loves the work and clients always love her. Away from People Deliver Projects: Susanne also runs her own successful business as a project leadership coach, presenter and author. She has led large change programmes of up to $30 million for organisations such as Standard Bank, Citigroup, JPMorgan Chase, T-Mobile and HMRC. 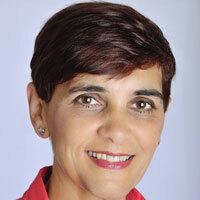 She is the author of 'The Project Management Coaching Workbook' and 'The Power of Project Leadership'. 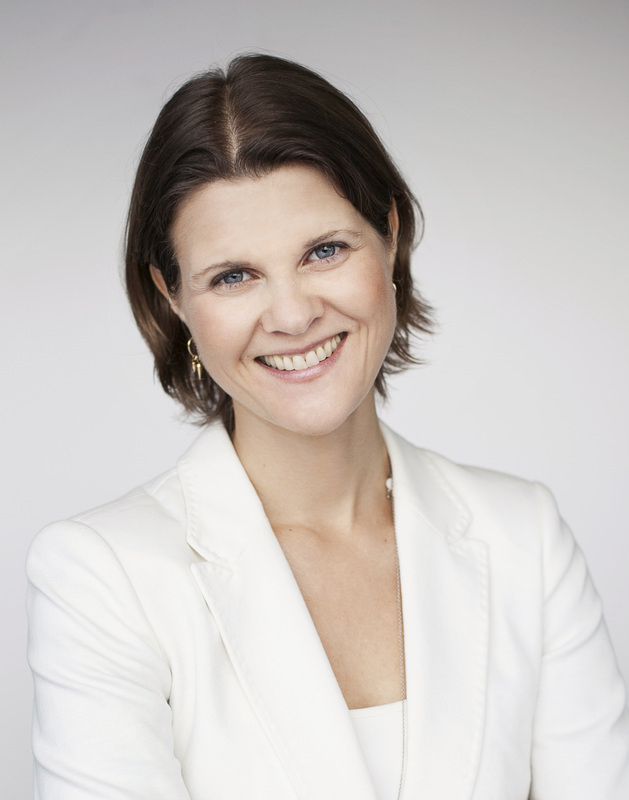 In real life: Susanne is Danish, speaks five languages and has lived in four countries. Job: Coach and Trainer in Project Management and Leadership. Team Coach. Where he fits in: Chris is a lead facilitator across the full spectrum from project management process to people skills, to leadership and team performance. Andy's view: Since 2016, Chris has quickly become a real mainstay of the lead deliverer team with the full range of skills I need - A real all-rounder. Unfortunately, I sometimes find myself a little embarrassed by the amazing standards he sets in his work (compared to mine). Just behind the professional persona lurks a charming and fun team-mate. Away from People Deliver Projects: Chris also runs his own business as an executive leadership and team coach. 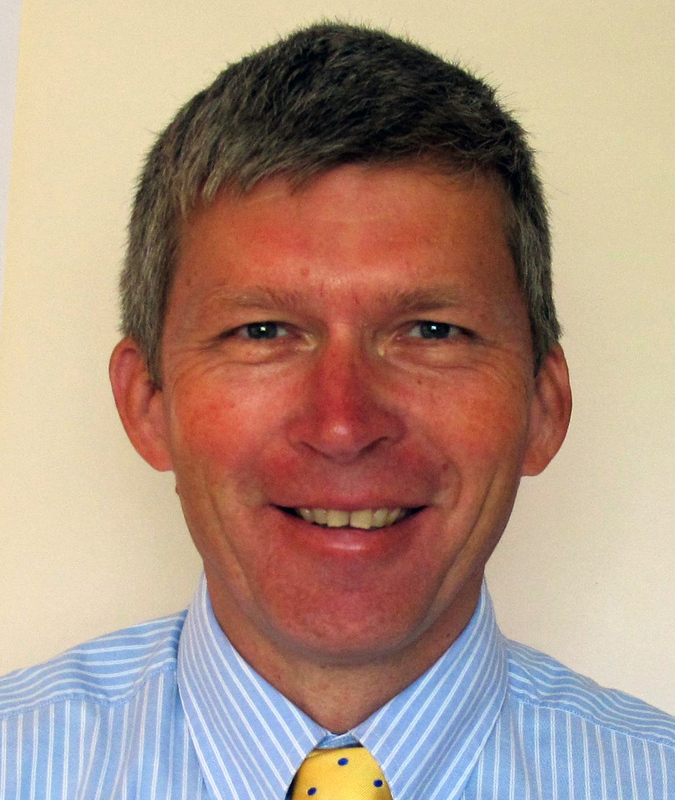 He has over 20 years direct experience of project management in IT and organisation change, up to senior level, plus has been coaching project managers since 2002. 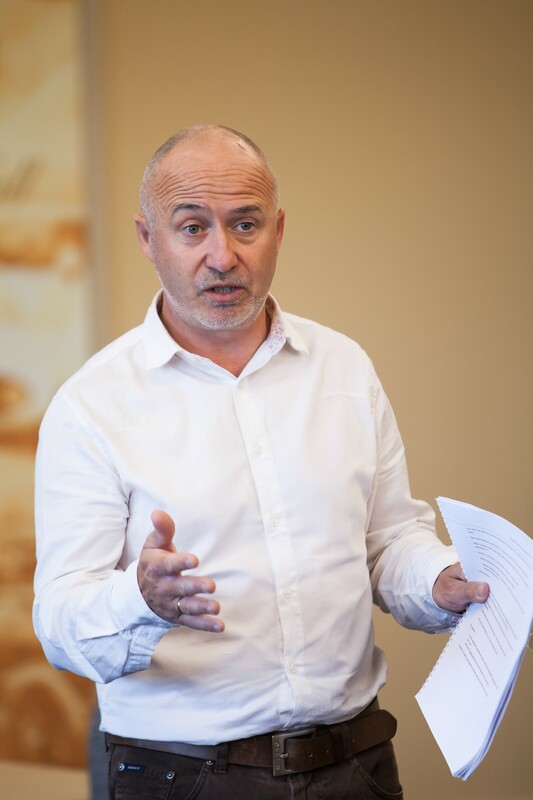 He currently leads accredited international training courses for systems coaches in ORSC, and brings The Leadership Circle, Strengthscope and Team Diagnostic with his experience as an NLP Trainer into his individual and team coaching. He is a certified Co-Active Coach (CPCC) and Organisation Relationship Systems Coach (ORSCC) and has wide experience of working in many different industries including finance, manufacturing, technology, pharmaceutical, government, non-profit and Top 100 global corporates. In real life: Chris is half French, enjoys sport, public speaking and community work. He also has a passion for partner dancing as a perfect way to unwind. Where she fits in: Jane is an exceptional coach, who is truly client centred, with a specialism in the conversations that build teams and deliver results. Andy’s view: Jane has been on the edge of the team for too long, and now in 2018, I’m proud to bring her in as a lead deliverer. She brings insight, support and always gently challenges me and improves our work. The perfect associate and she’s such a good coach, I have asked her to coach me. Away from People Deliver Projects: Jane also has her own coaching business, working with executives and team leaders in various sectors and facilitating conversations that really matter. She also coaches leaders responsible for coordinating humanitarian relief globally on behalf of the United Nations. Jane has an instinctive curiosity about the way people experience and respond to the world around them; fuelled by her previous career as a producer and director of TV documentaries and current affairs programmes both in the UK and overseas. In real life: Whilst Jane lives in London, she is a country girl at heart and loves escaping to the West Country to walk along the coast, drink scrumpy and ride horses on Exmoor. She is a keen social tennis player...and is still waiting for Andy to take her up on her challenge of a game! Where he fits in: Dan is the anchor of all of our work with actors, including giving us access to his excellent actor network. As an actor-facilitator he provides coaching, facilitation and plays leading character roles in our events. Andy’s view: I, and the whole team, owe so much to Dan. He was alongside me from the start in 2006, building up a brilliant actor team and the bringing the knowledge and skills of how to work with actors in business learning. No one has brought more tears to my eyes than Danny’s beautifully nuanced performances as Piers, the nightmare stakeholder, or Lars the presidential and slightly vain Chief Exec. In real life: Apart from enjoying the fortunate position of living near mountains and beautiful beaches in Ireland, Dan takes particular pleasure in watching the progress of numerous trees he has grown from either seed or cuttings . Where she fits in: Lyn is a trusted leading member of the team who plays leading characters in our events and provides experiential coaching as well as facilitating workshops. Andy’s view: Lyn is a very special talent and a mainstay of the actor-coach team since 2007. Her improvised performances are both powerful and vulnerable, making emotional connection with her audience. She always gives everything, and she always delivers. Where he fits in: Alec plays leading characters in our events and provides experiential coaching. Andy’s view: Apart from a being a coach and a great team member since 2008, Alec is simply a top-class actor. His intelligent improvisations as hapless project manager ’Al’ have been enjoyed by thousands. Away from People Deliver Projects: Alec continues to work as an Actor in Film, Television, Theatre and Commercials. He also works freelance in leadership development and communication skills practice, with over 15 years of experience in the private and public sector. In real life: After 20 years living under the Heathrow flight path Alec and his family now live in the countryside. He spends a lot of his time in wellies and is resisting the temptation to carry a stick with him when in the city. Locals still refer to him as ‘townie’. Hobbies are rather contradictory in that he has a big passion for birds, and motorsport. Where she fits in: Fiona is a leading member of the actor team since 2010, and she also leads the line with key clients as a lead facilitator. Andy’s view: Fiona is an actor who brings great facilitation skills with her. It’s a really wide set of skills – she can play a tough character role, and the next day deliver a learning workshop, and the next win a piece of work and manage a client relationship – There’s nothing left for me to do. In real life: Fiona is a keen runner and has become somewhat obsessed. Her global career has allowed her to run around some of the most amazing cities in the world. She feels very lucky!! Where she fits in: Joti is a new member of our actor team in 2018. She also coaches. Andy’s view: I hope Joti will be a big part in our future. She is helping us by playing younger characters and to establish our place in the increasingly important world of diversity and inclusion. She is so hard working and learning so fast – Like a hoover. 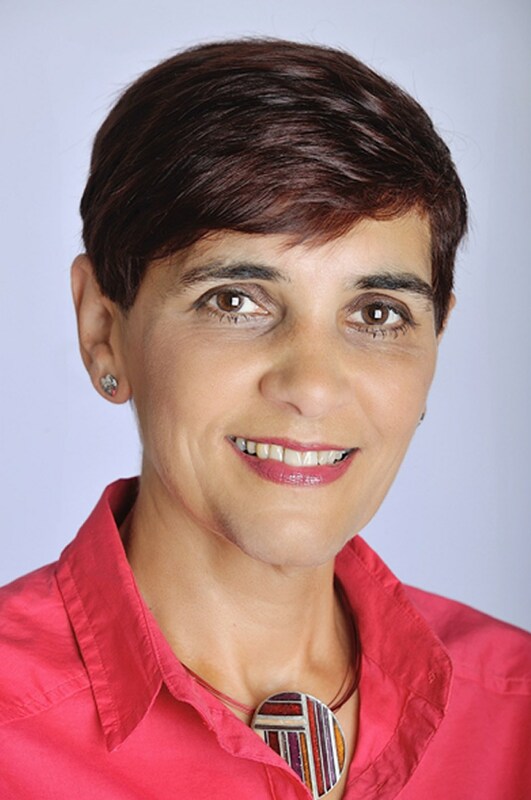 Away from People Deliver Projects: Joti worked extensively in L&D in business management roles before drawing on her psychology knowledge and experiences to transition into the more creative realm of corporate communication of drama based learning. In real life: Joti is a passionate foodie and has been known to sniff the TV when Jamie Oliver’s cooking shows are on. She loves nothing more than perusing cookery books over a glass of wine or mooching around food markets dreaming up new ideas to concoct culinary creations for family and friends in the kitchen - luckily for them, she’s a feeder! Where he fits in: Ed is a leading member of the actor team since 2013, and he also coach as leads assignments as facilitator. Andy’s view: Alongside his skills, Ed brings strength, challenge and confidence to the group. His belief in himself and what we do helps us to deliver and has rescued us in the occasional crisis. If I need feedback I go to Ed and know I will get it. His brilliant performances as the visionary, but naïve sponsor [Guy/Al] have made a real difference for hundreds of sponsors learning their trade. Away from People Deliver Projects: Ed runs his own business training and coaching leaders in all aspects of Leadership and Communication. For the past 4 years he has also worked with Professor Kohlriesser on the Advanced High Performance Leadership programme for the IMD Business school based in Switzerland. In real life: Spends as much time with his family as possible, ideally mucking about in the sea! He has a love of reading, films and is not adverse to a lively dinner with friends. Where he fits in: Stewart joined us in 2016, as an actor, and importantly to bring our first video-making services to our customers. He provides an end to end bespoke video-making service and can sub-in as an event manager when needed. Andy’s view: Video is a massive untapped opportunity for us and Stewart has shown that he can make high quality films, and fast. He’s enthusiastic, a great team member. I really hope to find him more client video opportunities as it could bring great added value to our clients. Away from People Deliver Projects: Stewart runs his own video production company focusing on Employee Engagement and Business Marketing films. He also works as a professional actor role player for other L&D firms, and produces and acts in independent films. In real life: Stewart is a pretty outdoorsy and sporty person. If the little detail of not being naturally excellent at golf weren’t an issue, then he’d definitely be a professional golfer… Oh, and he loves his young family too.